Ready made garments in Vietnam can mean one of two things. Either stock garments or originally designed by factories (ODM). Stock garments are either cancelled orders or excess production which you can buy at attractive prices. ODM stands for original design manufacturers and essentially means that the factory designs a collection which you can choose from. If the collection does not fit your market then ho harm, no foul, but no business. What does ready made garments mean to you? Are you sourcing ready made apparel in Asia? Why did you search for ready made garments in Vietnam? Are you looking for ready made garments in Vietnam? Thai Son is a family owned business that has been producing knitwear garments for more than 20 years. They used to offer a service to customers who want to manufacture their own ODM clothing but don’t have a design team. Their team consisted of fashion designers, buyers, production managers and quality controllers. This is what is meant by offering ready made garments in Vietnam. They have 2 sample lines and 15 production-sewing lines to back up a private label manufacturer in Vietnam team – small or large quantity is not a problem. The problem is that they stopped doing ODM (aka private label) because they are not able to predict which styles you will like. Because of their location in Ho Chi Minh City, formerly known as Saigon, and because of their extensive network of accessory suppliers they are able to offer a wide range of designs at low wholesale prices. Their team speaks English and has a standard operating procedure that is streamlined. That is what made them one of the best the suppliers of ready made garments in Vietnam. 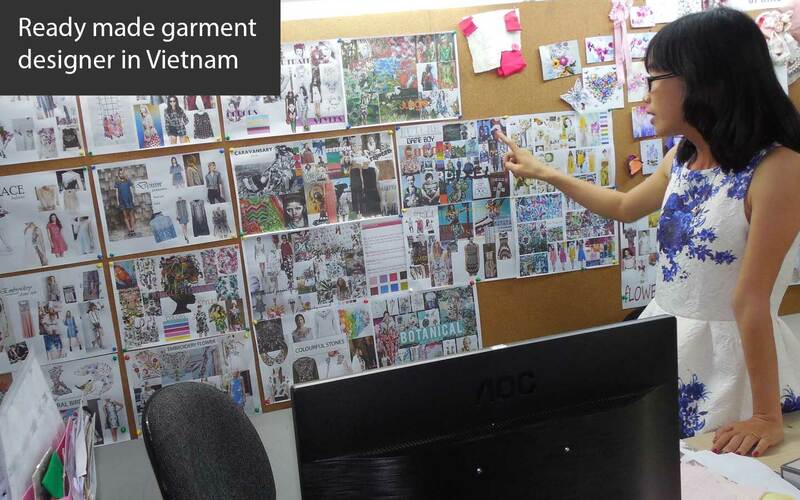 Target was looking for a Oeko Tex Certified Vietnam Garment Manufacturer and found them. Thai Son offered Target some ODM styles and they ended up contracting Thai Son as a an FOB manufacturer. They acted as an Oeko Tex Fabric Supplier and produced hoodies in high volume with low margin. What does ODM mean? An original design manufacturer designs and manufactures a garment that is bought and rebranded by garment wholesalers or retailers for resale. In contrast is OEM: original equipment manufacturer. An OEM supplier only produces garments. An OEM factory does not have designs for sell. A brand like Mango does not have it’s own factories but it does have it’s own designers. They need a OEM factory. Some garment business people have no designers but have shops. They need ODM; designs and manufacturing. When a garment buyer buys ODM garments they will ask the factory to put their label on the garments knowing that other buyers will buy the same garment and put on a different label.